1. Assess the state-of-art of the science of drought monitoring, prediction and management globally and in India, with special focus on remote sensing-based approaches. 3. Discuss options to develop a road map for advancing operational capabilities for drought policy, monitoring, prediction and management in India. As part of the UK Drought and Water Scarcity Programme funded by NERC, we are planning a one-day workshop for groundwater professionals with an interest in water supply. The workshop will be held at the Priory Rooms in Birmingham on Monday 1 July. The aim of the workshop is to generate evidence and take guidance from the community for the production of two outputs. The first output will be a short policy brief on groundwater drought planning and management in the UK, similar in form to the Houses of Parliament POSTnotes series. The second output will be a longer commentary-style article for the peer-reviewed literature on the current state-of-the-art related to groundwater drought planning and management practices and an assessment of future applied research directions and requirements. We believe that opportunity to reflect on the status of the UK’s current groundwater drought planning and management practices and on future research needs is timely given a range of recent government and industry initiatives. Reducing the risk of harm to people, the environment and the economy from natural hazards, including drought, is one of the core goals of the Governments’ 25 year plan to improve the environment that was published last year. In England, water supply companies are just completing revisions to their Water Resource Management Plans and Drought Plans and will soon be preparing for the next planning cycle. 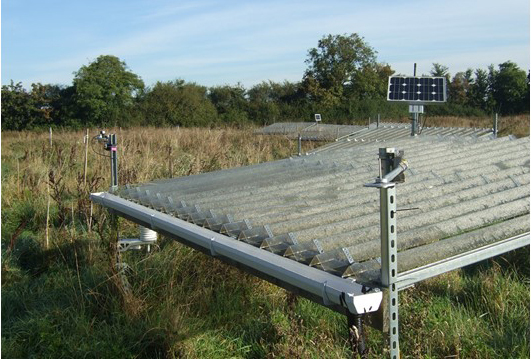 In addition, over the last couple of years there have been a number of significant technical developments, for example publication of the UKWIR Drought Vulnerability Framework in late 2017; outputs from the NERC-funded UK Drought and Water Scarcity Programme, and the opportunities offered by the publication of the UKCP18 data. We envisage that the workshop will be of interest to a wide range of groundwater and water resource professionals. Such as water company hydrogeologists responsible for groundwater aspects of drought management planning and operational water resource issues (e.g. groundwater resource situation reporting and forecasting); environmental regulators with responsibilities for groundwater resources, such as Environment Agency staff; and, consultants and academics with an interest in groundwater supply and drought. Registration for the workshop is online and will be on a first-come, first-served basis. Please note places are limited so early registration is encouraged. The draft programme will be released by the end of March. The UK Drought and Water Scarcity Research Programme is proud to announce its International Conference to be held at Pembroke College, Oxford University, over 20 and 21 March 2019. This conference will take an international perspective on droughts affecting our world, covering themes of climatology, hydrology, risks and impacts of drought, planning, and impacts on communities. The programme has now been finalised: view the poster and oral presentations (pdf). Please use the online booking system to reserve your space at the conference. The conference spans over two days. Tickets are available for the whole conference (£90) and individual days (£50). Accommodation can be booked, and is provided at Pembroke College comprising single ensuite rooms, with breakfast included (£80).